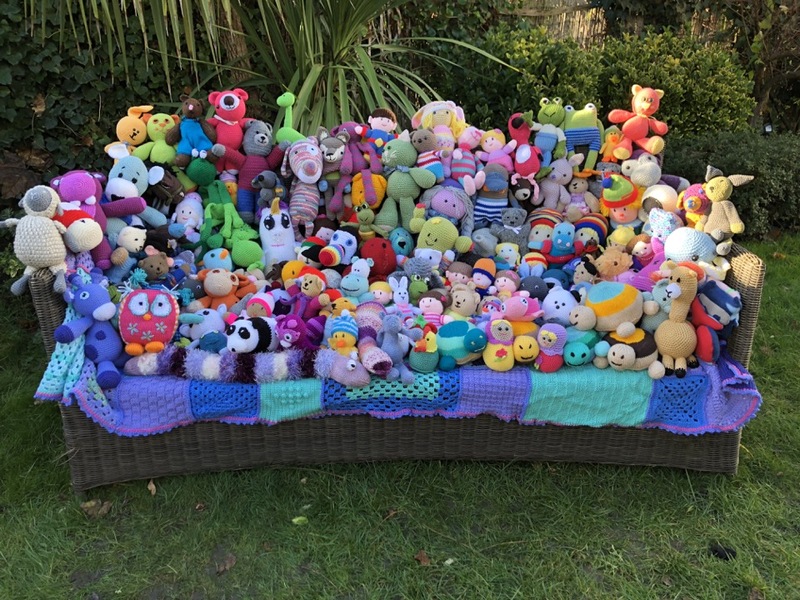 This is a wonderful project making cuddly friends to give to children in Belarus. It is run through a charity we have supported for the last two years with summer blankets called Friends of Chernobyl Children who as well as bringing children over, work with families in remote areas in Belarus experiencing extreme poverty in very challenging conditions. Yes, we know we are starting this in July! But we know how much time and energy these things take. We are looking for homemade cuddly friends to go and give huge hugs to children this Christmas time. Knit, crochet, sewn all very welcome indeed. Teddies, rabbits, people, this bit is up to you! Avoid white and very pale colours for practical reasons. Size wise – approx 20 – 30cm, not much bigger please for transportation purposes. We don’t know exactly the ages of the children who will receive them, so please avoid buttons and trimmings that might be dangerous for little ones. Think safety! These are for boys and girls, neutral is good, but we would love some aimed at each too. Last posting for our Christmas Hug project is November 1st 2018.